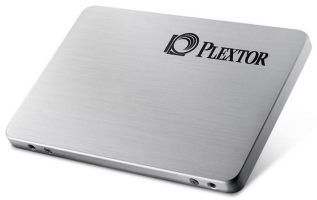 CDRLabs kicks off the week with a review of Plextor's new 256GB M5Pro Xtreme Series SSD, the PX-256M5Pro Xtreme. Along with the recently released Xtreme firmware, this upgraded version of the M5 Pro uses a newly engineered and redesigned PCB board that combines Marvell's 88SS9187 controller with Toshiba’s latest 19nm Toggle Mode MLC NAND flash. The end result is an SSD capable of delivering up to 540 MB/s read and 470 MB/s write speeds as well as a maximum of 100,000 random read IOPS. Yeah, it is pretty much like the old M5P with the Xtreme firmware. I've seen a lot of reviewers claiming it to be faster than that even, but I just didn't see it. In fact, it was slower in tests like Iometer. The 100k IOPS are a huge marketing gag. You don't come close to that number during normal usage. The biggest thing you should take away M5Pro Xtreme is that this will most likely be Plextor's base design moving forward. The PCB is labeled "M6S" so its pretty likely we'll see it used for the next generation as well. I still haven't heard a good explanation for the switch from BGA to TSOP NAND yet. I'm guessing it has something to do with cost. I can't imagine they're saving much since they have to use 2x as many chips. Yeah, I think also i´s the cost.